SlitLamp provides illuminating e-news for Colorado ophthalmologists. It keeps you in the know on the evolving Colorado health care scene by detailing the latest legislative and regulatory happenings. It also spotlights the information and resources you need for your practice. From left, Drs. Ryan Rich, John Burroughs and Ron Pelton. CSEPS regularly sponsors cutting edge educational programming and the past few months highlighted some outstanding local and national expertise. In May Drs. 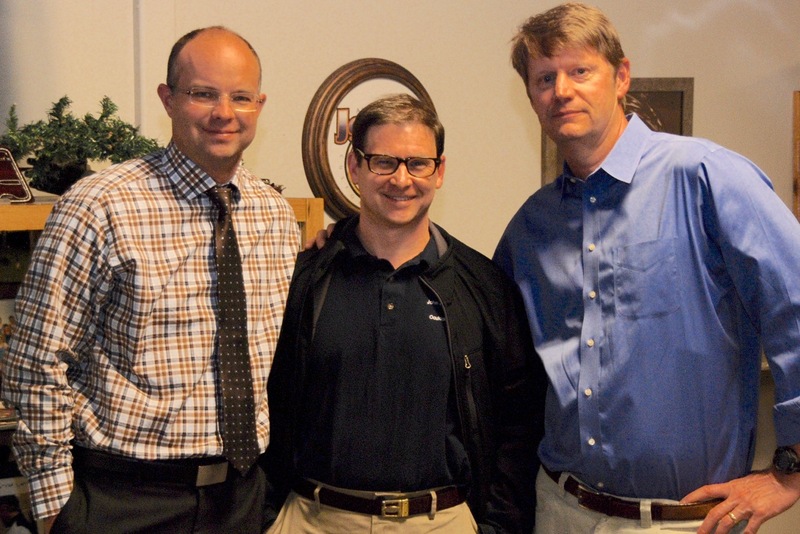 John Burroughs, Ryan Rich and Ron Pelton presented to Colorado Springs colleagues. While the presentations on blethroplasty, AMD anti-veg drugs and informed consent were great, some attendees thought the location at Johnny Martin’s Car Club was amazing. Check out pictures of some of the beautiful automobiles on display here. 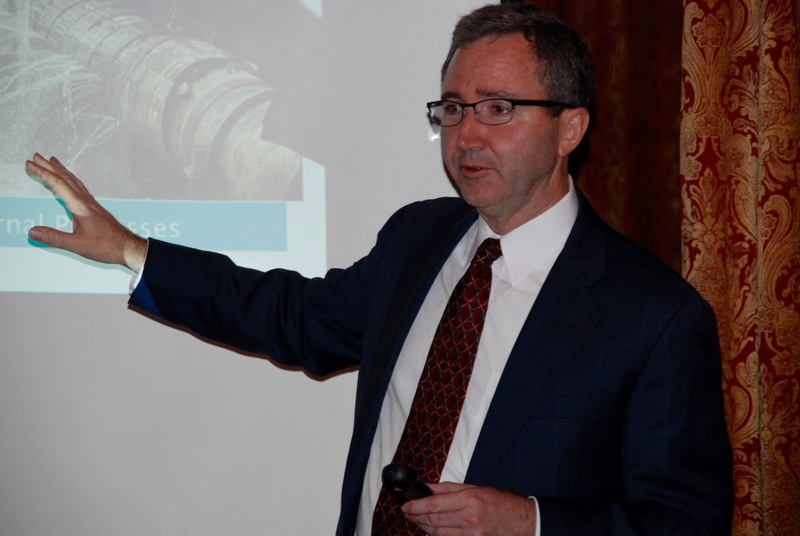 Not to be outdone, AAO Senior Secretary for Ophthalmic Practice Robert Wiggins, MD, MHA, came to Denver in July with a keen focus on helping to optimize Colorado ophthalmology practices through Lean Management. The essence of Lean thinking is to eliminate waste through understanding the value to the patient, using a value stream to deliver that value, creating an efficient and waste-free continuous flow system built on a pull approach, and continually pursuing perfection. Using stories from his practice in North Carolina, Dr. Wiggins both demonstrated and coached attendees on how eyeMDs and their team can excel in tomorrow’s health care system. Review pictures of the event here.